Got problems with your starter motor? We can sort it out for you! Repairing the old one or ordering you a new one, we ‘ve got you and your car covered. 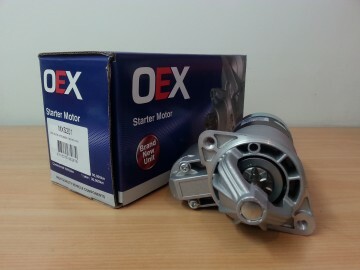 Wrack Auto Electrical in Whangarei is the official distributor for OEX branded starter motors, we can provide you with ANY starter motor or alternator. We can order your new starter or part on time with same day delivery if we do not have it in stock. If you are not sure if your starter motor is the source of problem, here are some tips to check yourself without getting all greasy when checking under the car. How to diagnose a bad starter motor? If the dash lights come on dimly when you twist the key and the solenoid bizzes or clicks, or even nothing at all happens, there is chances it is the battery or the cables! We can check your battery for FREE for you! If it turn’s out your starter motor needs to be replaced, we can fit your starter motor for you or you can use our call out service and we come to you with our mobile service. If your old one can be refurbished, we are happy to do this for you. 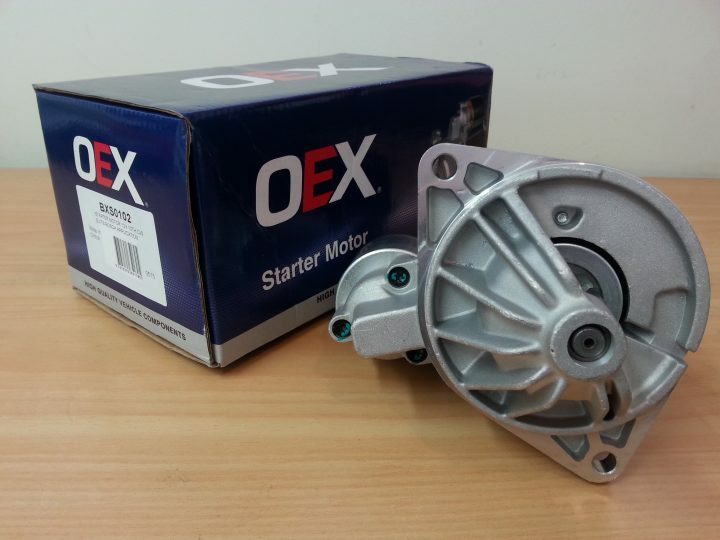 We can also supply OEX and high quality aftermarket branded spare parts for the repair of your starter motor. A car’s starting motor is made out of two parts: an electric motor and a starter solenoid. Turning the ignition key will let the starter motor spin the engine a few revolutions which will get the combustion process started. To spin a cold engine, you will need a power full starter. Our brand of choice for starter motors is OEX as they integrate the latest technology and innovations to ensure the power you’ll need. A quality control check on each item ensures the delivery of market leading units every time. Here at Wrack Auto Electrical in Whangarei, we have the largest range of starter motors available for your needs, covering the small engine, passenger, commercial, trucking & agricultural sector. OEX is the best choice for you as they come combined with three year warranties for private use, and one year warranties on commercial vehicles! Visit our shop now or give us a call so we can order the starter motor you need!